The autonomous vehicle gold rush is well underway, as illustrated at the recent Mobile World Congress in Barcelona, where a spate of manufacturers showed off their innovations. Significant technological and strategic developments in the sector are occurring virtually every month, with major implications for consumers, businesses and organisations tasked with handling big data. 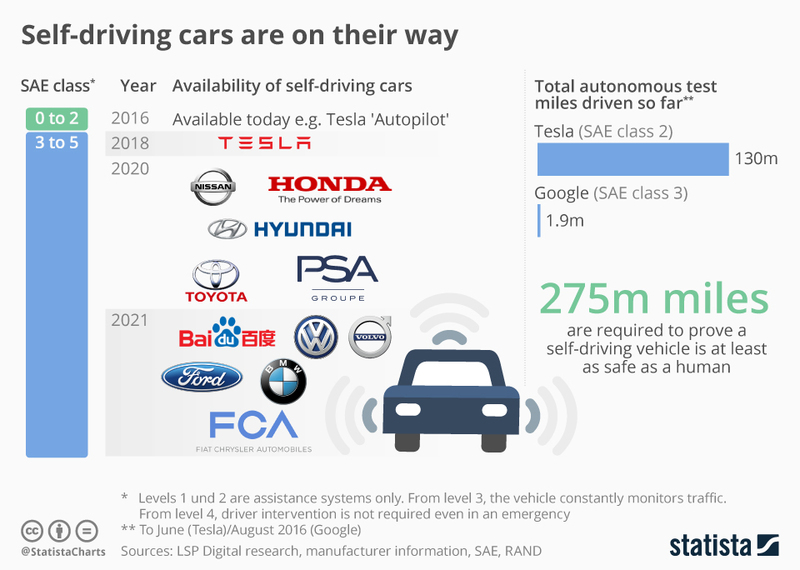 With an eye on potential reputational and business opportunities, publicly-funded bodies are increasingly keen to invest in companies that are leading the charge when it comes to driverless vehicles. Since 2014, the UK government has invested almost £100m in so-called CAV (Connected and Autonomous Vehicle) projects, with a further £56m coming from the private sector. Additional funding from the European Commission through the Horizon 2020 programme has also helped to drive innovation and development in the sector. The emergence of autonomous vehicles will bring significant opportunities for various organisations, all of whom will have to cope with extreme data requirements when the technology becomes commonplace on the roads and rails of the UK and beyond. The major players, of course, are leading the charge. Toyota, just one of the automotive giants with a keen interest in this area, confirmed plans at the start of March to launch a new $2.8bn venture that will research all aspects of autonomous vehicles. However, lesser-known manufacturers and tech innovators are also making inroads. For example, Oxbotica recently completed its first UK airport trial with IAG Cargo at Heathrow. The trial featured a CargoPod vehicle on a cargo route around the airside perimeter, with data collected over three-and-a-half weeks and a total of 200km. Another trial at Gatwick Airport is also imminent, according to the company. IAG Cargo chief executive Lynne Embleton said the trial had generated “valuable insights” that will allow the airport and its partner to explore new opportunities for driverless vehicles at the site. Oxbotica chief executive Graeme Smith told The Loadstar that the company’s vision-based localisation system “performed exceptionally”, although there were a number of variables to consider, including the transition from indoors to outdoors during a journey. There are a number of issues that manufacturers and lawmakers will have to grapple with before driverless technology enters the mainstream. At the start of March, the UK government announced the start of a three-year regulatory review to pave the way for self-driving vehicles. As part of the review, the Law Commission of England and Wales and the Scottish Law Commission will examine any potential legal obstacles to the widespread introduction of self-driving vehicles. Issues that will be explored will include how to allocate civil and criminal responsibility in an autonomous vehicle, the role of such technology within public transport networks and what the impact will be on other road users. “The UK is a world leader for self-driving vehicle research and development, and this work marks an important milestone in our continued commitment to the technology,” said Jesse Norman, the UK Minister with responsibility for roads and transport. Winning the confidence of the public is a vital first step. Initiatives such as TRL’s GATEway project here in the UK are not only providing scientific insight into the sector but are also designed to delve deeper into the associated public perceptions. The GATEway project is now entering its final phase, during which a fleet of automated pods will provide a shuttle service around the Greenwich Peninsula east of London “to understand public acceptance of, and attitudes towards, self-driving vehicles”. TRL chief executive Rob Wallis concluded: “We are seeing a global revolution in transport, transforming how we will travel in the future. For more information about how GeoSpock can assist with the big data requirements of companies involved in the autonomous vehicles sector, click here.